Real Estate Marketing Ideas – SMS, Apps, Mobile? Does your Real Estate Marketing Plan include Mobile or SMS or Apps? Real estate mobile marketing is the best way for realtors to keep in touch with potential buyers from anywhere at any time. Real estate brokers have been using mobile marketing more and more to stay up to date with their clients and to expand their ability to communicate with a wide range of people all at once. Does your Real Estate Agency have a Mobile Strategy? Effective marketing ideas for real estate agencies that include mobile can help make the difference in a struggling economy. Make more contacts and keep more clients by engaging them wherever they are. Mobile marketing is growing by leaps and bounds in all business niches. Spas and salons are using a specific “mobile marketing for salons” strategy to increase business, fill open appointments and reduce cancellations. From mobile websites to mobile apps and text message marketing, mobile marketing for salons can help you reach your clients more effectively. QR Codes are the new best friend to businesses everywhere including your retail business in Texas. 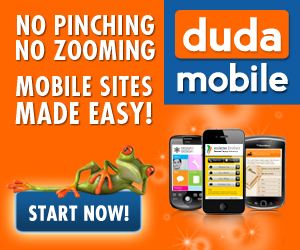 Retail mobile marketing is the fastest way to bring in new business to your shop. Text message marketing for retail stores is the biggest form of advertisement that is out today. When your business is contemplating the integration of mobile marketing into their current marketing strategy, the most important thing to decide is the software that you will use. Now, you might wonder how the marketing software could be more important than, say, your mobile marketing strategy itself. Well, the software is actually a key and integral aspect of your strategy. Your mobile marketing strategy will necessarily be shaped and affected by the software that you choose and the various options that it provides you with. Church Mobile Apps – Whats your Mobile Strategy?